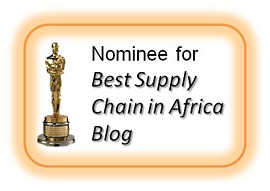 I have been thinking about Africa this year & its particular needs regarding supply chain. We have been working there since 1993 & it came back into consciousness during the World Cup. 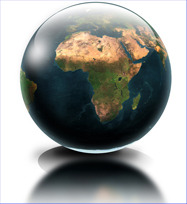 Many African countries are growing rapidly. However, I have been hearing a lot of stories about significant constraints to growth, many of which are related to poor supply chain processes & practices. With this in mind we decided to visit West Africa & talk to some leaders in the FMCG sector. The focus of our visit was “current issues that are impacting supply chain performance in Fast Moving Consumer Goods (FMCG)”. We spoke to a number of leading FMCG organisations and 3rd Party Logistics Providers. What we found confirmed some of our suspicions. Distributor Performance. Poor performance of Distributors and Transporters is causing low levels of customer service and excessive Route to Market costs. Although there are factors that Producers cannot influence, notably poor infrastructure, there are many ways in which Distribution and Transportation standards can be significantly improved. Improving Distributor Performance. All companies we met were looking at improving distribution and transportation through improving current processes and systems. However, only one company was looking to do something completely different and tear up what was happening now and provide a completely new way of doing things. Logistics & 3PLs. Some companies operated with owned warehouses, distribution centres and trucks and were not sure whether this was the best option. Some were actively considering using 3PL partners. However, they were unsure of the timing and were worried about the professionalism and capacity of potential 3PL partners, and the risk of a possible drop in customer service standards. Growth & Supply Chain Limitations. All companies stated that they were experiencing market growth of between 8 - 14% but this did not translate into a corresponding level of increased profits due in part to excessive supply chain costs. For all companies a key issue was to review all areas of the supply chain for ways to improve productivity, customer service and reduce supply chain operational costs and capital invested in the supply chain. One common issue was the large amounts of finished goods held by the manufacturer compared with the relatively low levels of finished goods stocks held by the Distributor. Although we have based these observations on a relatively small sample of visits, we would like to hear what other companies in the region are also experiencing.